Get your buzz on and help raise some dough! 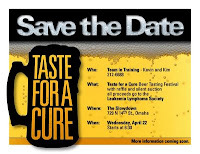 Beer tasting with raffle prizes and silent auction. 6:30 at the Slow Down.